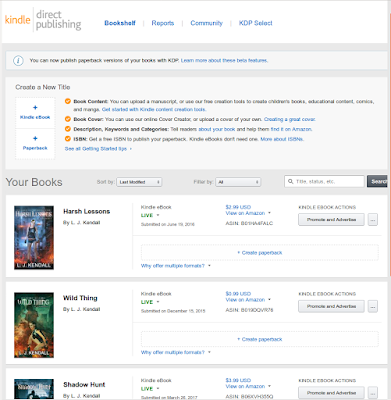 This is a short piece about correcting your errors and updating your ebook, mainly on Amazon. It's an interlude to break up the series of Q&A discussions about my 1st two books — this article is aimed at Indie authors. Sigh. Well, I thought it would be a short piece. 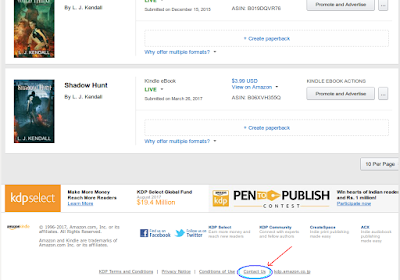 After all, the process can be explained in a few words: update/correct your MS. Upload it to Amazon. Contact them and ask them to offer the new version to people who have already purchased a copy. But I remembered Stella (my wife) telling me how much feedback she'd had from very satisfied users of her technical manuals saying how valuable it had been to get step-by-step instructions. Somehow the article just grew…. In Calibre, select your book and Choose "Add files to selected book records" (then select your corrected .docx file). If asked about replacing an existing .docx, of course choose that option, since that's the whole point! Still in Calibre and with your book still selected, choose "Convert books". Choose ".docx" for the input format and (for Amazon) ".mobi" for the output format. 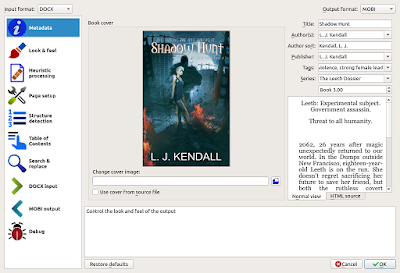 For other publishers, you probably want to choose ".epub" as the output format to upload to your publisher. Click OK. Calibre will spend a minute or so creating the .mobi file in your Calibre library. Upload that file to Amazon. $ ls -l "/home/luke/Calibre Library/L. 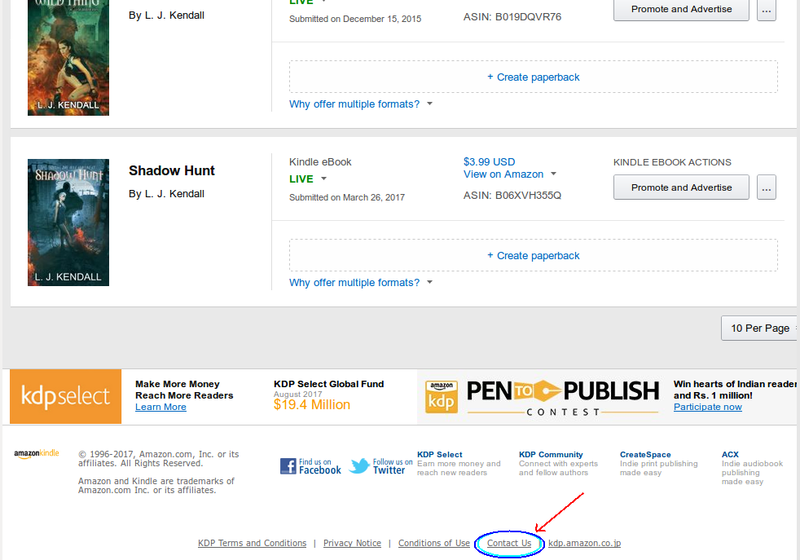 J. Kendall/Shadow Hunt (99)"
What happens next is that Amazon will check your updated file before releasing it for publication. Basically, I think they check to make sure the book still matches its description and represents fair value, since Amazon has a duty to protect its customers. I imagine a small minority of shonky people try to use Amazon to scam or exploit people. Amazon works diligently to protect its customers from that. This check can be quite fast if you're lucky, but may take up to two days (if I recall correctly). At present Amazon provides no mechanism for you as an author to summarise the changes you made (for their staff who check your changes). I assume they have excellent internal tools for making the changes visible, though. I think it's a good idea to have something like a revision number somewhere visible in the first few pages, so you can Look Inside to make sure the right version is there and available, and readers can also easily determine if they have the latest version. Oh, and I strongly advise you to at least flip through the online preview of your uploaded content to at least glance at every page. This should pick up any outrageous things that have gone wrong — like blank pages, a shift into italics for long stretches, missing page breaks, illegal characters appearing instead as grey blobs… that kind of thing. So, that's it — all done? Sure, people who buy your book from that date onward will get the new and corrected edition. But what about previous purchasers — won't Amazon distribute the corrections to them automatically? Or at least, offer it to them? The reasoning is that people might have made bookmarks and annotations, and preserving those when the underlying text shifts and changes is a tricky problem. So, does Amazon at least inform existing owners there's a new version available? Well, at least you can inform people that there's a new version available, yeah? No, not really. You don't know who bought your book. You can broadcast the news, but even if an existing purchaser goes to Amazon and re-downloads the book, they get the same version they originally purchased. Nor do they get the new version even if they delete the book from their device and re-download it! Purchasers can only get the new version in one of two ways. One, by directly contacting Amazon and asking specifically to be given the new version. One of Amazon's people will then check and send them the new version manually. Which is a lot of effort for all concerned, right? The other method requires no effort on their part, provided you do the right things. Using this second method, Amazon will send an email to all purchasers with a link they can click on to get the new content if they wish. Much easier. But you have to do some work as the author, to make that happen. [Amazon rep.]: Thanks for your feedback. Luke, is the automatic book update option turned ON on your account? 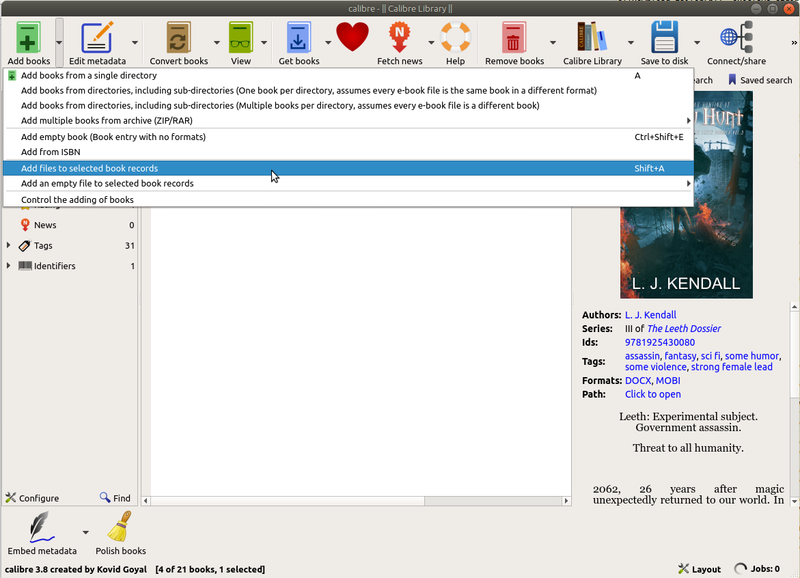 Under settings, scroll down and you can see Automatic Book Update. Please confirm this option once. We value your support and look forward to the continued opportunity of serving you. Would be there anything else that I can assist you for today? Me: Thanks. Yes, it is turned ON. So, why did it not update, given that Automatic Update was already turned on? You can still help me by explaining what should have happened, or by explaining why it did not update automatically. [Amazon rep.]: Luke, some Kindle book update can be initiated only from our end. [Amazon rep.]: Yes, you understood it correctly. 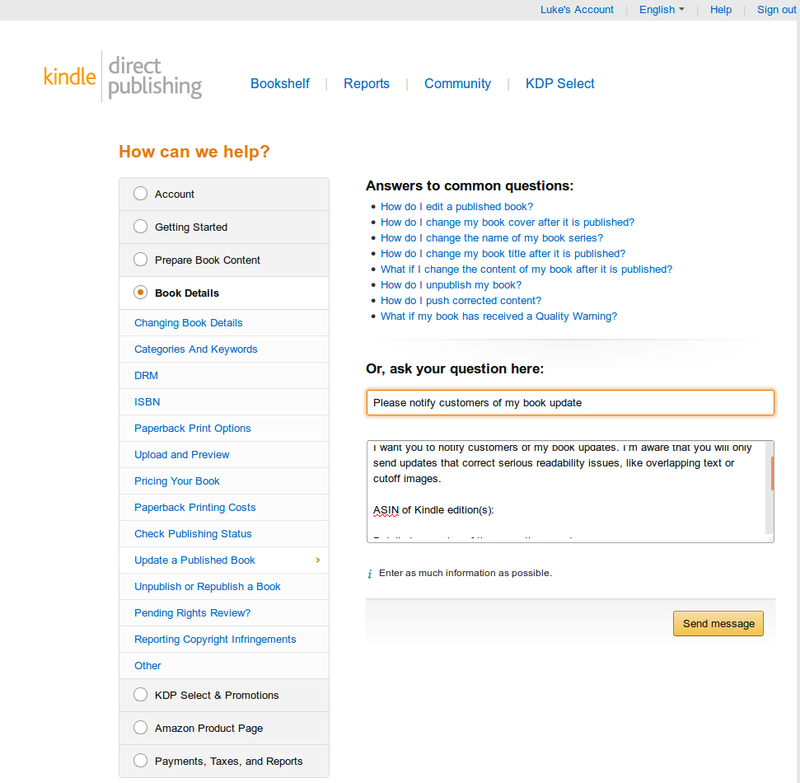 [Amazon rep.]: I can understand your concern completely. However, currently we don't have an option to process the update automatically without the request made from author or customer. In this case I take it as feedback and forward it to the appropriate team. Me: Thanks. I will do the same, from my end. I will also blog about it. [Amazon rep.]: Customer feedback like yours helps us continue to improve the service we provide, and we're glad you took time to write to us. We're regularly working on improvements to your experience with Amazon. You can get Amazon to offer your update to all existing purchasers, by contacting them and asking them specifically to do so. It does take some work, however. The main thing you need is a clear and reasonably detailed explanation of what you have changed. You contact Amazon, and provide that information, and wait for up to seven days (usually) while they check the changes and your explanation, and decide whether it is a good enough reason to offer the new version to existing purchasers. It's a little bit tricky, but not too bad. Release 5: Based on reading the 1st (proof) printed copy: numerous small improvements (punctuation, word choice), several small continuity errors fixed, several typos fixed, changed to us US-style punctuation within quotations. Below, the underlined portions of the "before" (left text, Release N-1) and "after" (right text, Release N+1) are to highlight the specific changes. The page numbers refer to the page number in the 5"x8" print edition: they are given just as an approximate indication of the location for the ebook edition. but I believe! → but I believe. swallowed the land yacht.' → swallowed the land yacht. to his office → to his office. &gt; Correction: Her mother has told me. For months, as we went back and forth, the miscommunication continued. It was literally only while writing this blog article today that I realised they weren't quoting errors they had seen in my book and were concerned with, or couldn't find, as I thought they were telling me. I kept asking them to check the book they were looking at, and seeing the above errors, since those errors were not in my books — not realising they were giving me an example of the level of detail they needed, and were asking for additional specific examples. Click on the "Send Message" link after you have filled in all the details (it will be quite long), checked it to make sure you haven't got silly typos or errors in your message, copied it and saved it away for your own records in a file or into an email you send to yourself. Then wait for the news from the approval from Amazon. So: is that it? Is it done now? Why, yes, Mr Jones. I believe it is. All that's left is to perhaps notify your readers in your own social media that you've fixed problems and they might like to accept the offer of an improved version, when Amazon emails them. And I think this blog article is done, too. I hope it's helpful for a few Indie authors! Next time, I'll continue with the series of Q&A discussions about the 1st two books in The Leeth Dossier. Some really good info, thank you. There is so much self-published authors need to know.